Pattison Liquid Systems is a leading distributor of LED lights providing solutions for night time working conditions. 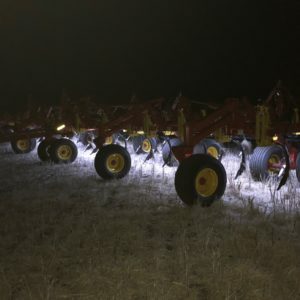 The drill lights will allow the operator to quickly check that the seeding/banding openers are working properly without handling a flashlight. LED lights draw minimal power with a 3M adhesive backside allowing for a painless installation.